WeChat with its 877 million active daily users is now one of the leading sales platforms in China for savy brands looking to tap into such a large pool of engaged users. Indeed sales via WeChat stores are increasing incrementally since their launch early last year with over 125 million USD sales in 2016. More and more brands are opening stores but it’s important to understand this is not a ‘magic bullet’, you do not instantly gain access to the Chinese market via merely opening a store and an official WeChat account. WHY ARE WECHAT STORES SO POPULAR? 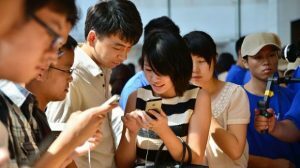 WeChat stores have become a huge phenomenon in Mainland China. It marked the start of what has been coined as the ‘Social Commerce’ revolution, the integration of social networks with stores was perhaps logical step in a rampantly consumerist modern China. They allow for instant and convenient payment via WeChat’s e-wallet system which directly connects to the users bank account (payment at the swipe of a screen). 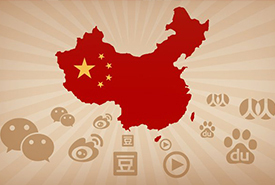 They are associated with quality in terms of the scale of cross border commerce that now operates via WeChat stores. Ease of payment leads to instant, impulsive purchasing, spontaneity has played a large part in the success of this concept. WeChat Stores are an ecommerce shop, they allow for up to 20 SKU’s (product pages) and are highly customizable in terms of design, store and production presentation. They allow users to make payments via the e-wallet system and provide back-end access for all necessary data/analytics. However, they are not promotional vehicles themselves. They are a store to drive traffic to, for promotional activities you need to set up an Official WeChat Account. WeChat Official Accounts are necessary for wide-scale promotions on WeChat, these are pages where you can attract followers and push content to them. As you build a following over time with weekly push notifications you can drive traffic to the store directly from these user’s message feeds (once per week maximum allowed). Here you can also incorporate branded content as part of your official page, great for legitimizing the brand in the eyes of the consumer. Personal accounts are for individual users rather than entities and are good for re-posting content and making recommendations for product stores to specific user social networks. WeChat has no in-built search function that can detect stores, currently users will not be able to search for your store based on relevant keywords. 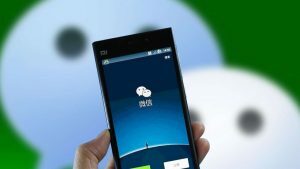 WeChat also a ‘closed network’, this means users can only see posts from your account if they are connected first. As a result, you must drive traffic by utilizing a multi-channel approach. Having said this one should not be dissuaded from opening a WeChat store. Yes – You need to invest in the right marketing strategy, but opening a store is the most cost effective way of starting to sell and validate your product concept. 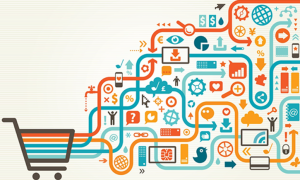 With the right marketing strategy driving traffic to a store is not so difficult. Posting in groups with engaging content, that includes links to your official page, this can be done via ‘covert’ third party personal accounts (the Chinese trust user-to-user recommendations greatly). Using WeChat as a launch pad for great content, if you are serious this should be developed in HTM5 for a quality user experience within the WeChat format. Ensure you have a strong call to action, what are the incentives provided to follow your account and engage with your page. Ensure you are pushing exclusive discounts, offers and limited time only sales. Followers can be incentivized to re-share your posts on their ‘moments’ (news) feed, these posts can drive traffic straight to your store. Most importantly how do these strategies relate to the user in a social setting? ‘Community first’ should be your mantra on WeChat, it is a different sales approach, the Chinese view brands more as individuals in this setting and expect to engage with brands in this way. Many companies now run their customer services via the Instant Messenger service. How do you increase visibility to your store. As you start to gather followers you can offer push notification posts to every follower once per week via an official account that can in-turn link directly to the store. This is powerful as the message appears in the users message feed directly, it is more akin to a personal message than an advert, hence higher click through and conversion rates. You also can drive traffic through QR code placement (links) to the store from offline locations, place them in-stores or feature them at relevant events with the opportunity for payment in this way always appreciated in such a WeChat centric society. Quality content with motivation to share (e.g. entered into a Lucky Draw) can go more viral as Chinese users have a stronger culture of sharing. QR code placement in physical locations allows for driving traffic from offline to online. Users will often share purchases on their feeds so starting to sell facilitates further promotion of the store. Remember the store is static, you need to actively promote it via the Official account on WeChat itself. 75% of all online research in China is conducted via Baidu (think China’s Google), it is therefore effective to create a quality series of landing pages (linking to online stores) & also embed the QR code link to your WeChat store as a popular method of payment. Traffic via Baidu can be targeted based on keyword searches in Mandarin, thus increasing the number of qualified sales prospects who are (unlike on WeChat), actively searching for products of this description based on their search terms. Another method is to open a Weibo account (think China’s Twitter) which is an open source network, users can see posts from anyone. From here you can drive traffic to your store also. Consider other smaller e-commerce forums such as Baidu Tieba or Zhidao where user to user product recommendations are popular. When it comes to setting up your store the formats for design and presentation of SKU (product pages) are surprisingly adaptable. You can be creative and set your brand apart from the rest with the right visual design. 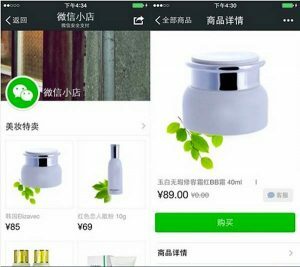 ‘Youzan Stores’ are a popular form of mobile store that can be integrated into WeChat and formatted for a smoother user experience. Keep in mind that branding needs to be consistent across your WeChat account and store, branding really is everything in China. WeChat has become a vital platform for developing communications and the store infrastructure coupled with a promotional account allows for more chances to reinforce this. Management is key when it comes to campaign success, firstly it needs to be set up and implemented correctly, then assessed with quality data analytics and metrics established. WeChat offers a comprehensive ‘back end’ that caters for this. You can even embed separate QR codes to monitor different streams of traffic coming from multiple sources, this is powerful when it comes to accessing which marketing strategies are driving the most traffic to your store. 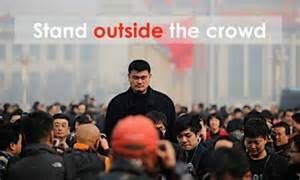 You need not just a ‘local’ expert but a WeChat expert to administer the right strategy for visibility, community building and external promotions. Weekly and monthly reports must be accessed and strategies tailored based on this feedback, what tactics result in the most traffic, more importantly how does this translate to click through and sales/conversion rates based on the level of investment into each channel. This must be considered closely. The Chinese respond strongly to loyalty programmes, they like to engage with brands in an active way, perfect for a WeChat led approach. ‘Red packet’ payments via WeChat pay as reimbursements for spending larger amounts in store. 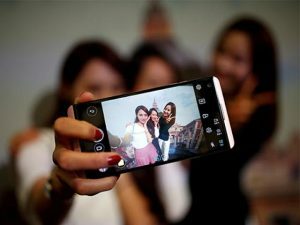 Consider that WeChat followers are active participants (far more so than on Facebook) and like to engage with brands in a different way, they are far less sceptical of marketing efforts in China as the whole ‘shebang’ is a relatively new phenomenon. Think ahead to stay ahead!